Closeout products are inspected, tested and fully functional but may have minor cosmetic blemishes or show slight signs of use. Cover does not include accessories such as tie down kits or bags, unless otherwise noted. Each comes with our 30 day money back guarantee. Each closeout includes a 1 year warranty from CoversDirect®. If you don’t see the product that you’re looking for, just give us a call at 1-866-626-8377. Please note that closeouts are available in limited quantities so order quickly to take advantage of this great deal! 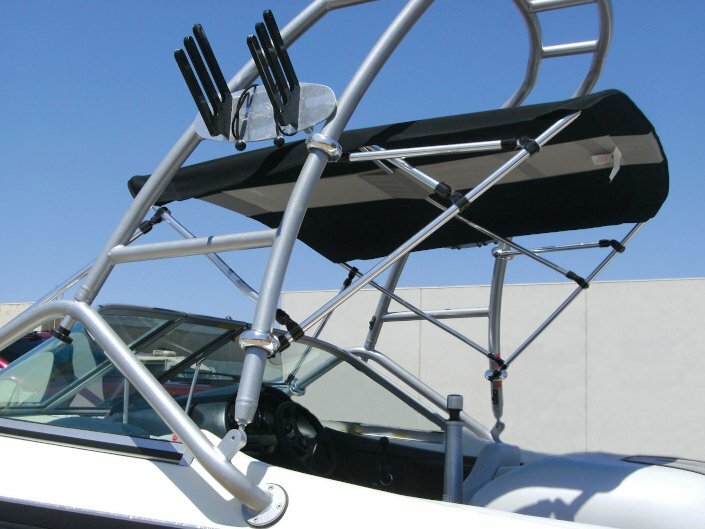 Bimini Top Trailering Strut- Aluminum W/ Nylon Fittings 10"
Add to any 7/8" round tube Bimini Top frame. 1ST QUALITY! 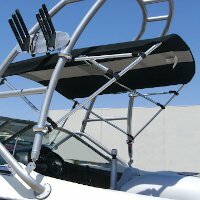 *BOOT ONLY: Fits 47"-53" Mounting Width, 24" Circumference. 1ST QUALITY! 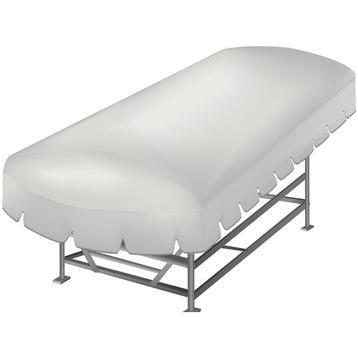 *BOOT ONLY: Fits 61"- 66" Mounting Width, 24" Circumference. 1ST QUALITY! 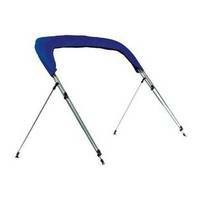 *BOOT ONLY: Fits 91"- 96" Mounting Width, 24" Circumference. 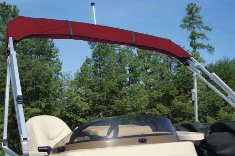 FITS: ShoreStation Aluminum Frame Boat Lift Canopy 22' x 108"
2nd Quality Cover! 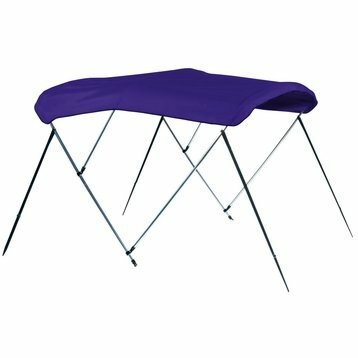 It has been tried on a canopy frame and may be slightly dirty but it still functions great! 1st Quality Canvas! Canvas will ship same day. FRAME will have to be manufactured when order is placed. It will take an additional 3-5 days to receive your frame. Canvas has been tried on a boat and may be slighly dirty. FRAME will have to be manufactured when order is placed. It will take an additional 3-5 days to receive your frame. 1st Quality! Canvas only, FRAME will have to be manufactured when order is placed. It will take an additional 3-5 days to receive your frame. Has been tried on and may be slightly dirty! Has been tried on and may be slightly dirty. *Top has a light cutout. 1st Quality Canvas! Canvas will ship same day. FRAME will have to be manufactured when order is placed. It will take an additional 3-5 days. Has been tried on a boat and may be slightly dirty. Has been tried on and may be slightly dirty *This does not have a storage boot. CANVAS has been tried on a boat and may be slighly dirty. FRAME is 1st quality! Has been tried on and may be slightly dirty.! Canvas has been tried on a frame and may be slightly dirty. Frame is 1st quality. Canvas has been tried on a frame and may be slightly dirty. Canvas will ship same day. FRAME will have to be manufactured when order is placed. It will take an additional 3-5 days. Has been tried on a boat and may be slightly dirty. Canvas will ship same day. FRAME will have to be manufactured when order is placed. It will take an additional 3-5 days. 1st Quality Frame! Frame will ship same day. CANVAS will have to be manufactured when order is placed. It will take an additional 3-5 days. Has been tried on and may be slighly dirty. 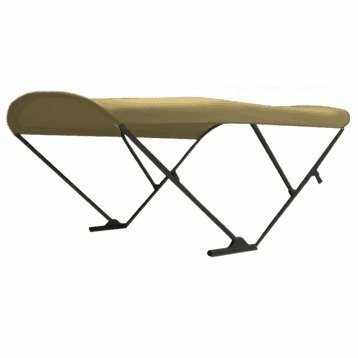 Universal Bimini Top: Fits: Frame Width: 75" - 82"
Fits: Frame Width: 75" - 82"
Frame Width: 66" - 74"
Has been tried on and may be slightly dirty. *Fully SS TOP! Has been tried on a boat and may be slightly dirty. *With SS fittings. Has been tried on a boat and may be slightly dirty. *Fully SS top! Has been tried on a boat and may be slightly dirty. *This top has zippers & Cutouts. FRAME has been tried on a boat and may be slighly dirty. CANVAS is 1st quality!